Cambodia : Should we visit the 'Killing Fields'? 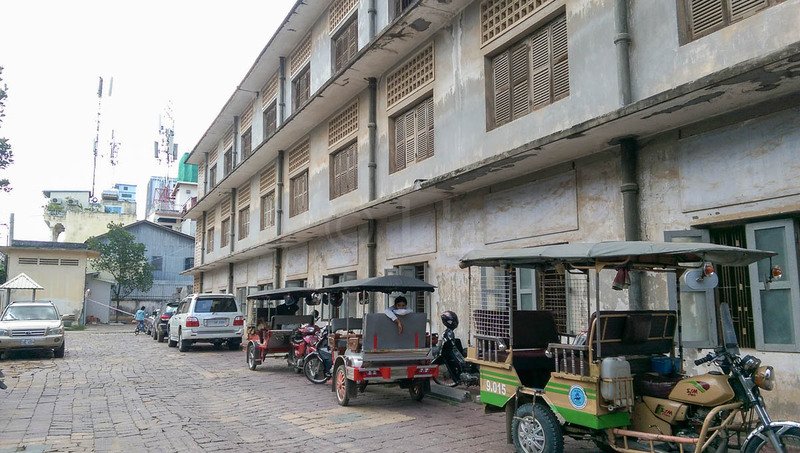 Phnom Penh has been on our list for years and we thought if we could see much of Siem Reap in three days, we’d get a good feel of Phnom Penh in five. We quickly discovered that we could happily have filled a lot more days just exploring this fascinating city, where most of the population were born after 1979 following the end of Khmer Rouge rule. We could have happily whiled away a couple of hours enjoying a meal overlooking the Mekong River where it joins the Tonle Sap River after its long journey from China, via Laos and Thailand before reaching the sea in Vietnam. But we didn’t. Our five days were very full – we share some of the highlights here. One of the best ways to interact with local people is obviously to go where they spend their time, where they work, eat and study. 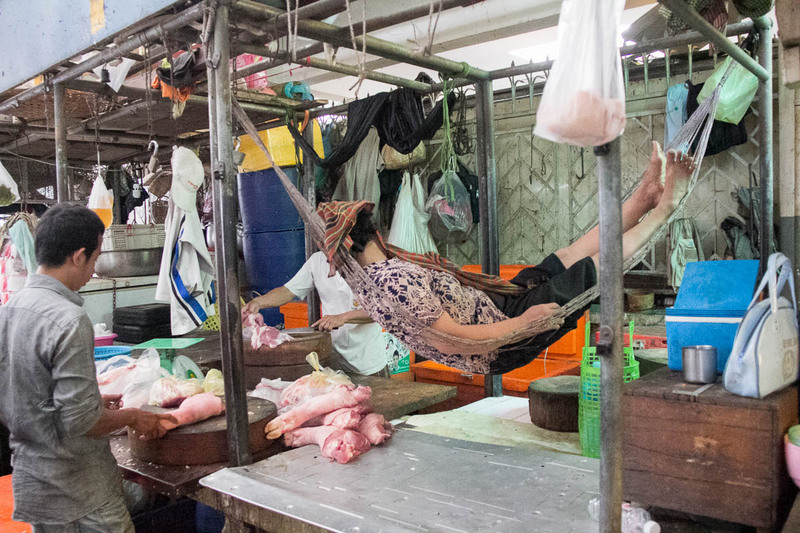 Cambodian food has a lot of similarities with the food you’ll find in Vietnam, Laos and Thailand, all of which share a border with Cambodia at some point. 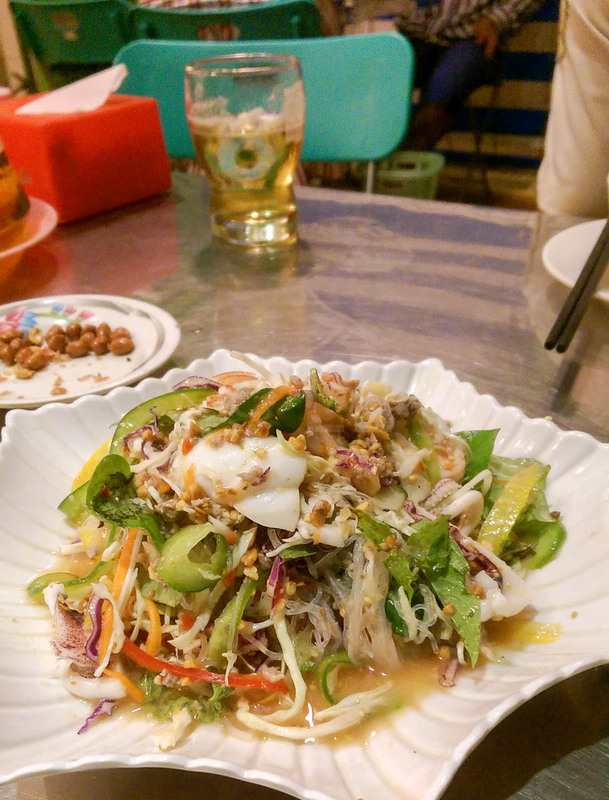 The salad you see in the photo is similar to that you’ll find in Vietnam, the rice based dishes have Chinese, Lao and Thai similarities but they’re generally a lot less chili hot than the Thai versions. 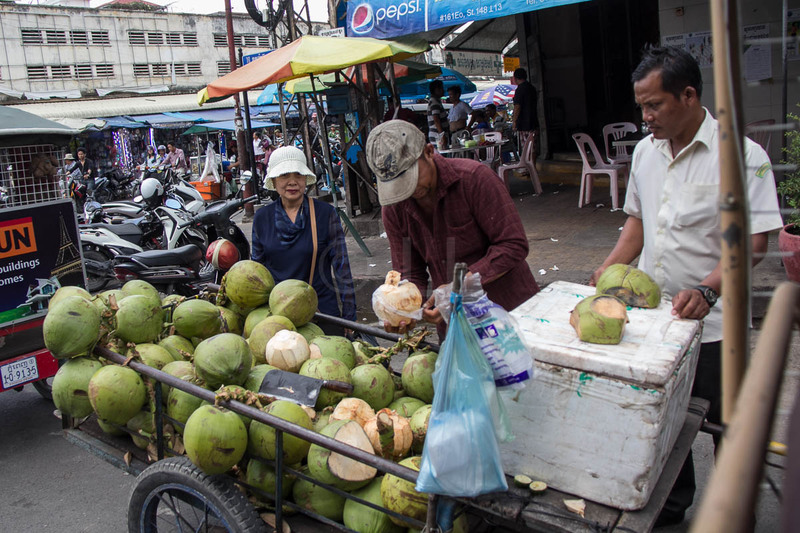 Coconuts are inexpensive though prices vary depending on where you stop – they will be less expensive where there are a lot of vendors and generally a little more if chilled. Expect to pay between US1 for two, up to USD2 for one. Coconut water is fresh, naturally sweet and helps maintain the electrolyte balance on a hot day. Definitely safer if you’re concerned about taking drinks with added ice. Many schools welcome drop in visitors. Either go prepared with useful school supplies you’ve brought from home, or purchase them locally. Exercise books and writing materials are always welcome. Many organisations are happy to have extra hands and depending on the time you have available and the skills you have to offer, you can spend all or part of your time helping people less fortunate. If you would like a longer stay, check out some of the organisations that work with overseas aid organisations. We visited a friend currently volunteering at PSE – Pour un Sourire d’Enfant (For A Child’s Smile). He gave us a tour of the facility, which offers primary and secondary schooling as well as training in various skills and first aid to those who leave school. This benefits over seven thousand of the poorest children and young people in Phnom Penh, and it’s free to those who need it most. The most defining events of the past fifty years of Cambodia’s history is the period between April 1975 and January 1979 during the rule of the Khmer Rouge. The most obvious reminder of this time is the age of the population – most are born after that time and over a million died during those four years. Cambodia is slowly coming to terms with this and have opened some of the execution sites to visitors. 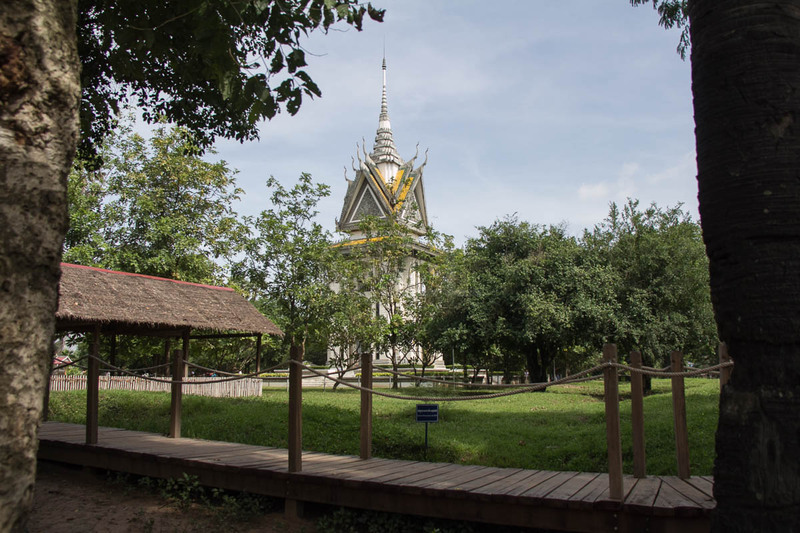 While they are respectful to those who lost their lives, a visit to the Killing Fields or Tuol Sleng Prison S21 is a very confronting experience and you may want to consider if you really want to visit. If you decide to visit, listen to the stories of the survivors and also about those who died. they are very moving. 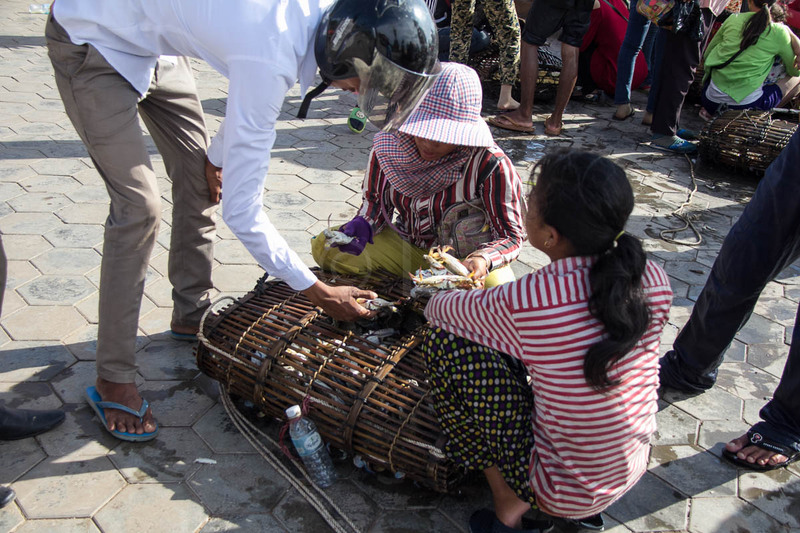 The market culture is strong in Phnom Penh – you’ll find lots of roadside stalls selling a wide variety of products, with lots of food on offer. 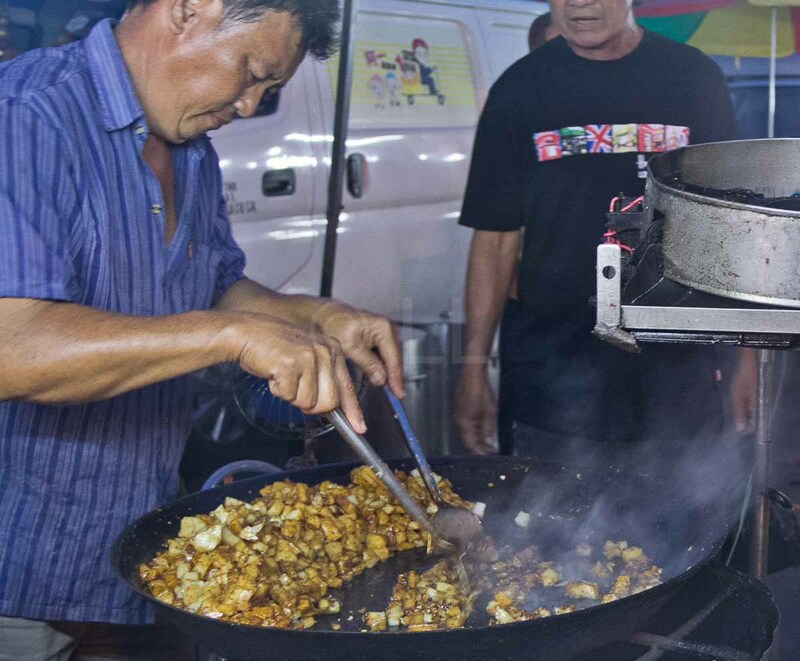 You should also visit the night markets as well – there is a good one just north of the Royal Palace a couple of roads back from the waterfront (Preah Sisowath Quay). The Russian Market is the place to go if you want to feel the pulse of local commerce. 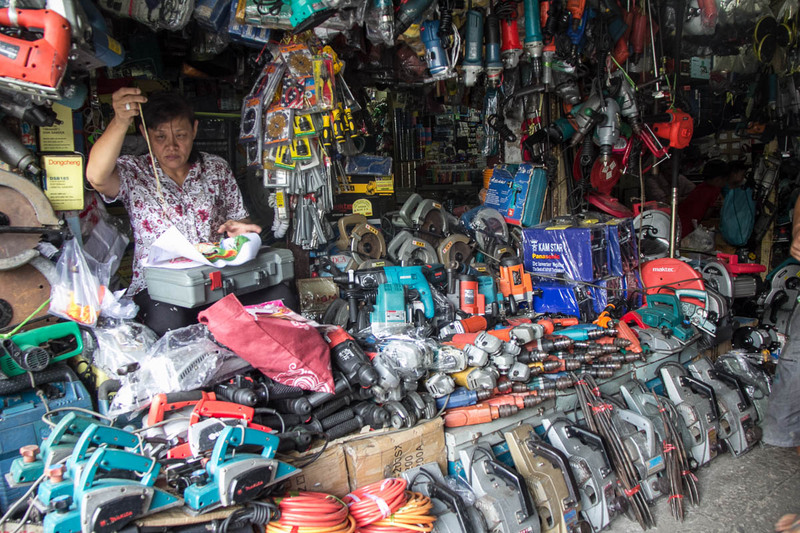 You can buy anything from a good cup of Cambodian coffee, to a new or used electric drill. Stalls selling hardware, household goods, fruit, food and toiletries and more are gathered in roughly related sections and there’s a place in the middle where you can get a bowl or noodles. You can even get your hair or nails done! The Central Market is a beautiful, French designed building located not far from the temple that gives the city its name – Wat Phnom. It’s better organised than the Russian Market, with the separate areas well defined. Fresh foods and flowers are all located around the outside of the building and household goods, jewellery and toiletries inside. Look for matching his and her watches (but not the originals) garnets and sapphires local fruits and the famous black spiders, all ready to eat. If you have the time, do get out of town. There are many day trips you can do, or if you have longer, an overnight trip, or longer. If you fancy a boat trip up either the Mekong or the Tonle Sap rivers, there are a number of providers located at the northern end of the waterfront, roughly opposite where the two rivers meet. You can also look for a sunset cruise, or even a short trip across the river or along to visit one of the nearby villages. Prices will vary depending on the type of boat and the distance. 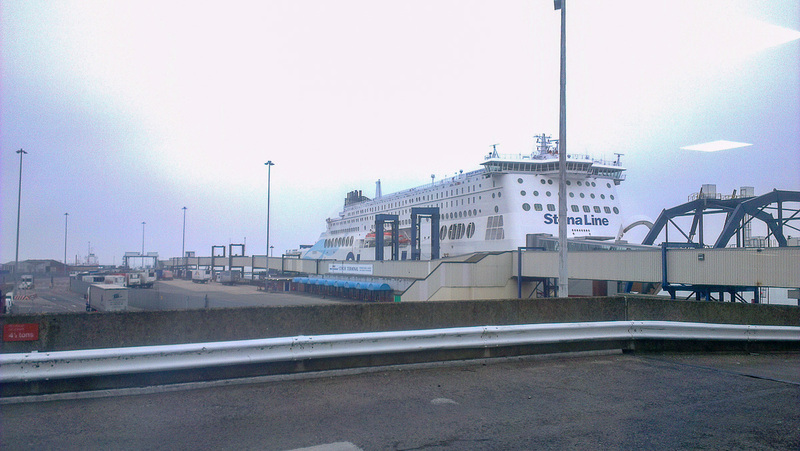 Your hotel may also have an arrangement with a provider which includes transport to and from the jetty. The two main choices seem to be Sihanoukville and Kep – a three or four hour drive south of Phnom Penh, depending on the traffic. Sihanoukville is popular for visitors who also want to enjoy the nightlife while Kep is quieter and has a more laid back style. Visit the beachfront market in the afternoon to buy fresh fish and prawns as they are caught and get them cooked for a small extra cost. Bokor Mountain is inland from Kampot, on the way to Sihanoukville. Bokor was first developed as a cool hill station by the French in the early 20th Century and at one time boasted a beautiful hotel/casino, right on the ridge overlooking the coast. The King also had a cool weather palace here. Most of the buildings fell into disrepair over the years, partly because access by road was not easy. However, the mountain is seeing a revival in fortunes, with the building of a resort, which does offer stay/transport packages. 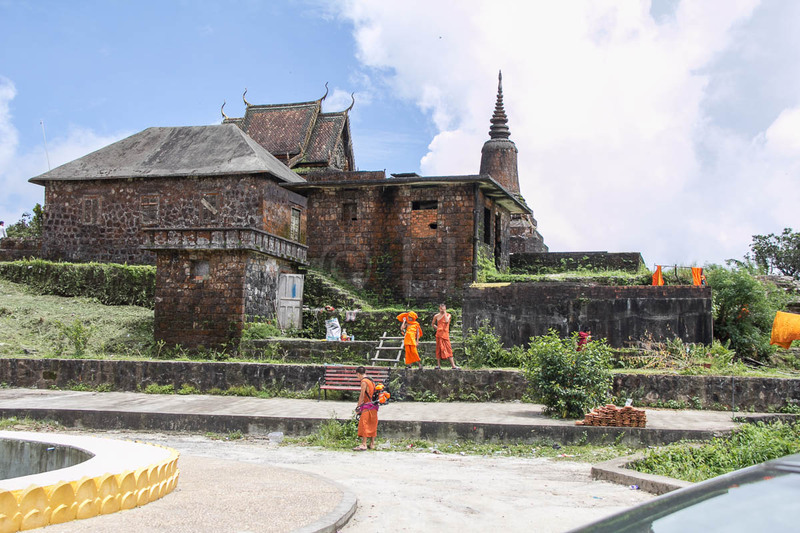 If you prefer to go on your own, you can ride a motorcycle, hire a taxi for the day (around US$50-60 or a bit more from Phnom Penh), or catch a bus from the Bus Station in Kampot to the Thansur Bokor Highland Resort. They go up every day at 10:30 am & 4:20 pm. 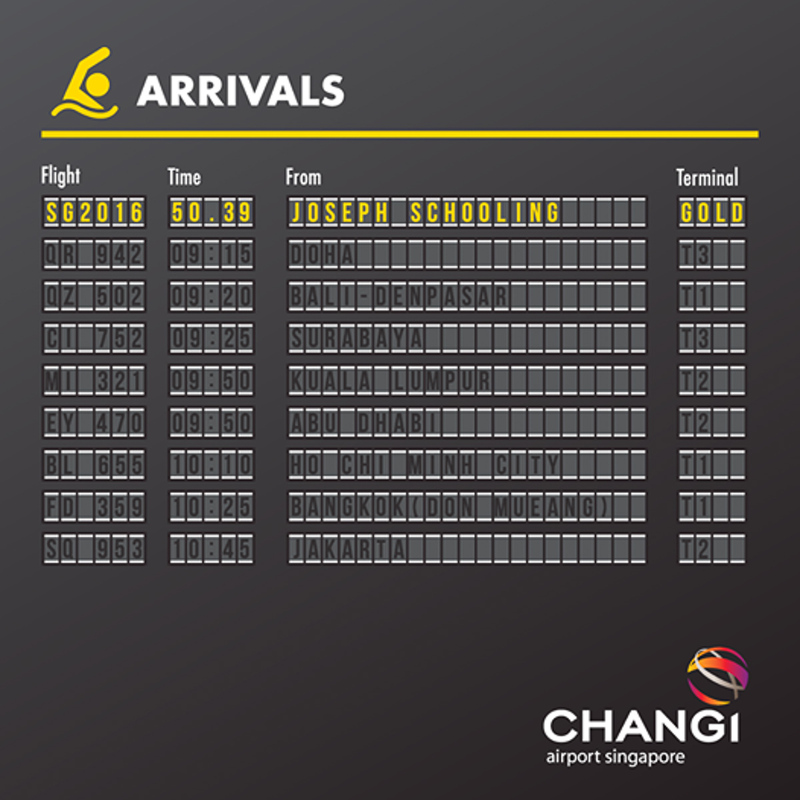 and return at 8:30 am & 3:30 pm. If you go by bike or taxi, you’ll have more flexibility to visit the old hotel and other buildings and stop by the temple overlooking the coast. Bring your lunch and stop at the waterfall on the way up to eat and dip your feet in the water. There is also an entrance fee, paid at the bottom of the hill of 2000 riel (USD$0.50). There’s a 2000 riel entry fee for motorbikes. The road is quiet and in good condition and is a good ride which even relatively inexperienced riders can manage. The museum is not far from the Royal Palace and is open every day from 8am to 5pm houseing a good collection of artefacts representative of Cambodia. An hour or two will be enough to have a look around and you can rest for a while in the cool central court, or along the verandahs. There is an entry fee and you may take photos in certain areas, upon payment of a camera fee. The counter for this is just inside the main door. Visit the Wat that gives the city its name, located on a hill close to the Museum. There is a small entry charge for foreigners, before you walk up the steps to the main entrance. The main pagoda, Wat Preah Chedey Borapaut was built in 1372 on the site of an earlier pagoda and is the tallest temple in the city. The complex is certainly worth a visit and there are often a lot of visitors, but the best view is probably at night, looking up across the large clock built into the hill. Phnom Peng doesn’t have a city bus service, and no commuter rail system, so you either have to walk, or rely on taxis or tuk-tuks (a motor cycle trishaw) to get around. 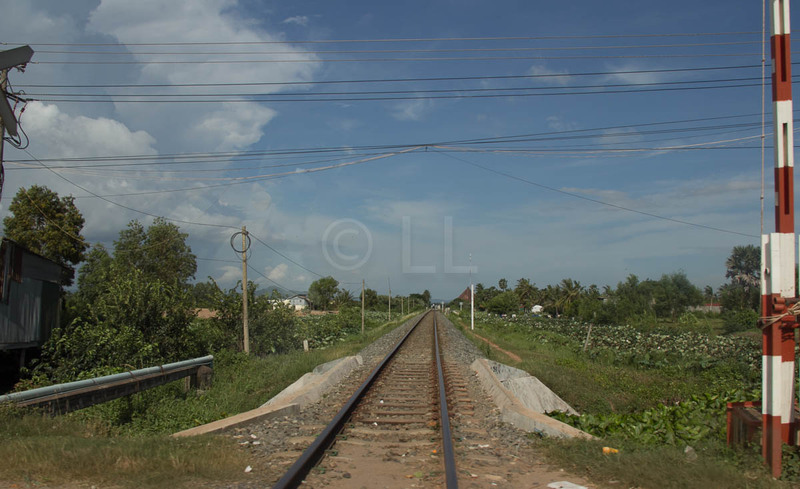 There is a railway station, but only for longer distance trips, south to Sihanoukville or west to Battambang. 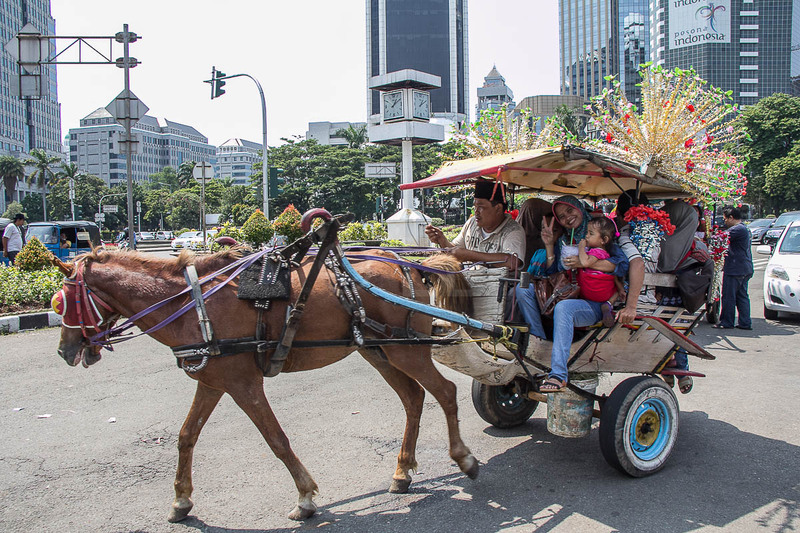 motor cycle taxis are only for the brave or foolhardy! 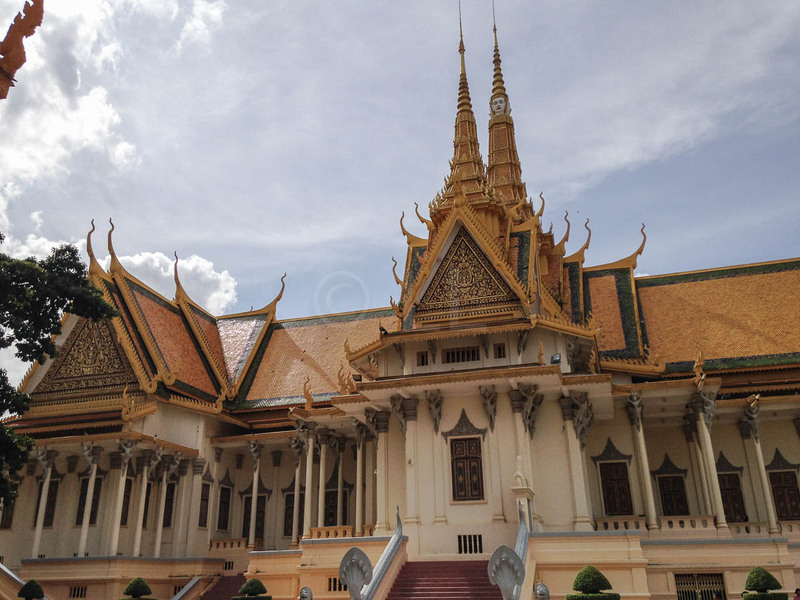 For more on visiting Phnom Penh, check out our practical tips including more information on getting around the city and help on getting connected.